We are excited to announce the Business Fundamentals Bootcamp - Downtown Los Angeles. The event will take place on May 19, 2017, at the University of Southern California in Los Angeles, CA. The theme of this event is “Growth Strategies for the Scaling Company,” and the event concludes with a networking reception for participants and presenters. University of Southern California is located at 3670 Trousdale Parkway, Los Angeles, CA 90089. Enter the USC campus through Gate 4, Jefferson Blvd. at Royal Street, and park in Parking Structure D.
This event will be taking place in Hoffman Hall, which is part of the USC Marshall School of Business. 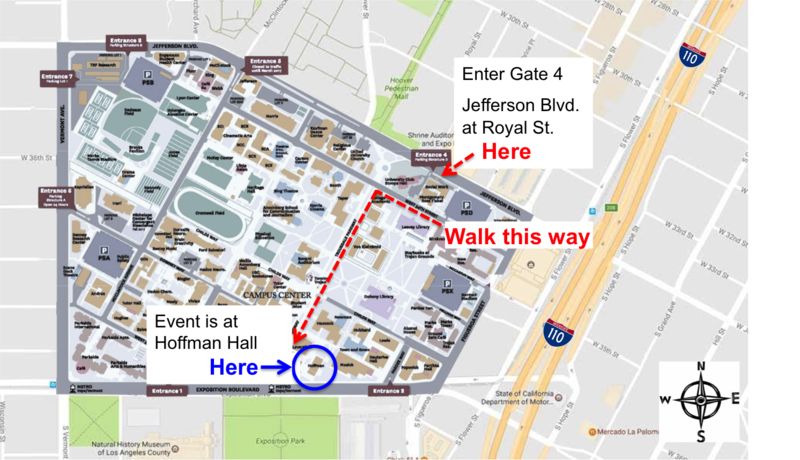 Hoffman Hall is also located right outside of the Expo Park/USC stop on the Expo line.